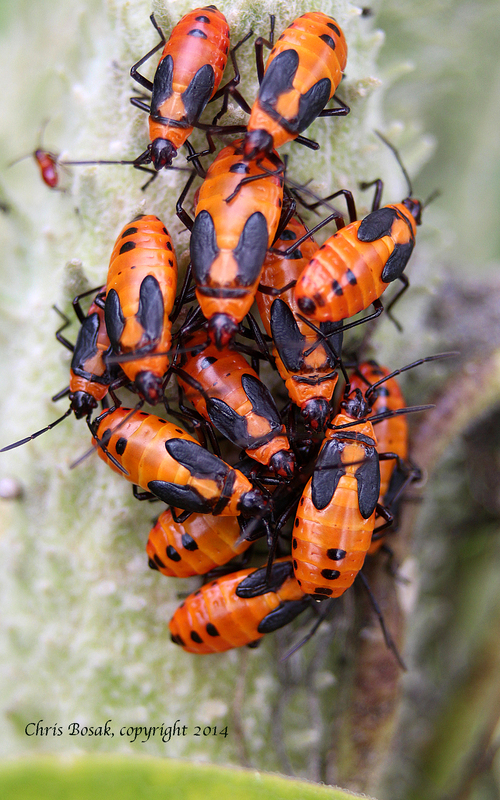 Milkweed bugs cluster on a milkweed pod in a meadow property of the Darien Land Trust. Here is the latest in a series of close-up (macro) photographs I took last summer while tromping through the meadow properties of the Darien Land Trust. From July 24 to Aug. 31, I’ll post a different close-up meadow photograph on this site. Here’s more background on the project. This entry was posted in Meadow close ups and tagged chris bosak nature photographer, macro nature photography, meadow close-up photography, meadow macro photography by Chris Bosak. Bookmark the permalink.